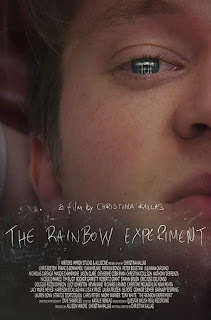 Read Will's review of The Rainbow Experiment. It is a post-modern whodunnit set in a NYC high school when a student is permanently injured during a science experiment on school grounds, leading to personal reckoning among faculty, students and parents, with an impressive cast of 36 principal characters. Kallas’ explosive film plays with time, perception and notion of a collective protagonist, creating a multi-layered viewing experience unlike any other. 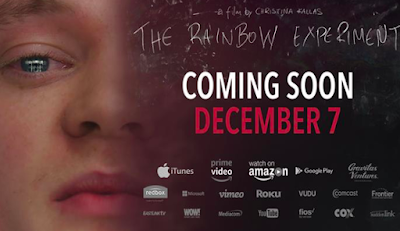 The Rainbow Experiment is on Video On Demand on December 7th, 2018. The Rainbow Experiment studies the way people react to trauma. Written, directed and produced by Christina Kallas, the film is raw and inventive. The cast of characters, all connected to the protagonist Matty (Conor Siemer) in some way directly or indirectly, range from the most level-headed to borderline insane. Shows Matty appearing as a ghostly figure, examining the events at the high school, while his still living body remains at the hospital, and is our narrator throughout the movie. As the movie progresses and the characters try to make sense of what happened, it becomes less and less about the victim and more about everyone’s own struggles. Matty is just an ordinary high school student. Like his fellow classmates in class, he acts out, challenges the faculty and puts on a show for his friends. 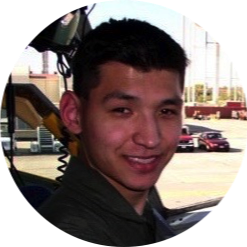 When his chemistry teacher gives him a task, things go wrong and a fireball explodes in his face, sending him, in critical condition to the hospital. Now the authorities, the faculty, the parents, and the students all try to make sense of this tragic event and come to terms with their own demons. This is above all an ensemble piece designed to magnify dozens of powerful performances. Skillfully guided by Kallas, the scenes were all shot in one take while allowing room for improvisation. Nina Mehta gets a show-stealing scene where she tearfully recounts the accident to a group of indignant firefighters. If director Christina Kallas can be faulted for anything, it’s her ambition. There are simply too many characters, too many subplots, too many interconnecting relationships to keep track of. The editing style mixed with frequent split-screens between multiple points of action make it difficult to follow. If Kallas had a smaller cast and gone a little easier on the split-screen, this would have been stunning. But as it stands, it’s too frustrating to overlook the forest for the trees.